Note: If you have a Professional or Business package, you need to activate SSH instead. This will also allow you to login with SFTP. Log in to the One.com control panel and click FTP & SSH on the Advanced settings tile. 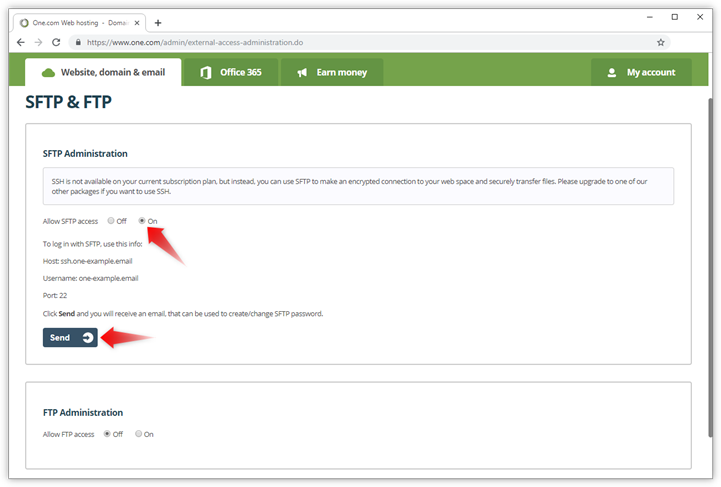 Under SFTP Administration set SFTP access to On. Click Send to have a change password email sent to your contact email address. Open the inbox of your contact email address. 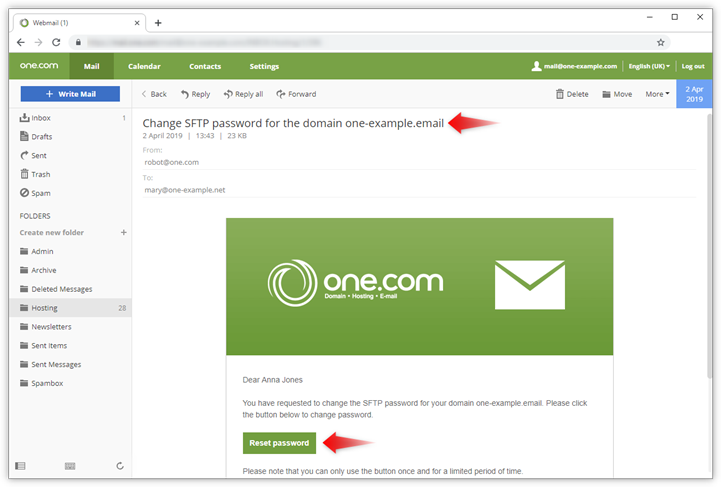 Locate the email with the subject "Change SFTP password..."
In the email click Change password. 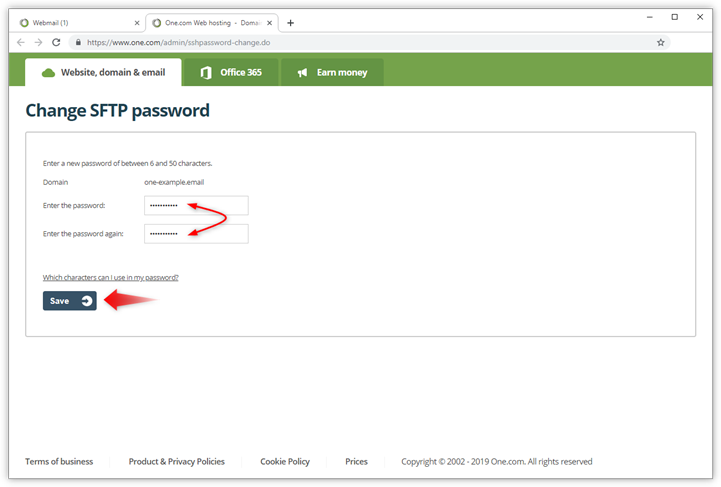 On the page that opens, type in a password of your choice, two times. 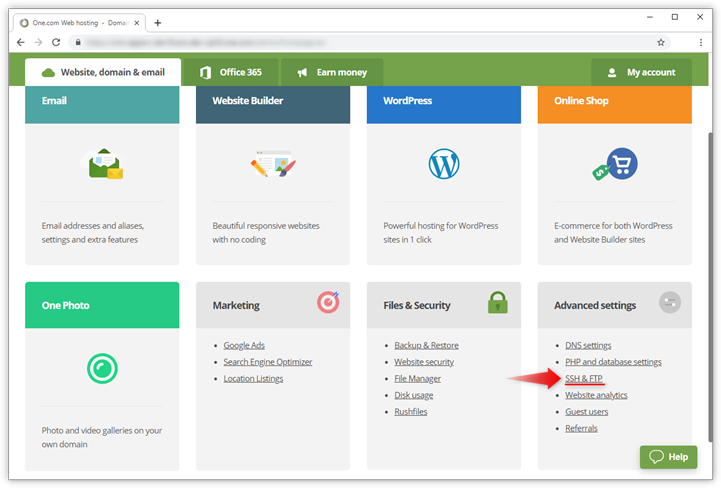 You can now log in with SFTP, for example with Filezilla.